Police in London are using specially trained drivers to stop would-be criminals from using motorcycles and mopeds by ramming them with cars. (LONDON) — Police in London are using specially trained drivers to stop would-be criminals from using motorcycles and mopeds by ramming them with cars. Police already use automatic tire deflation devices to stop offenders and DNA and forensic evidence to catch them. 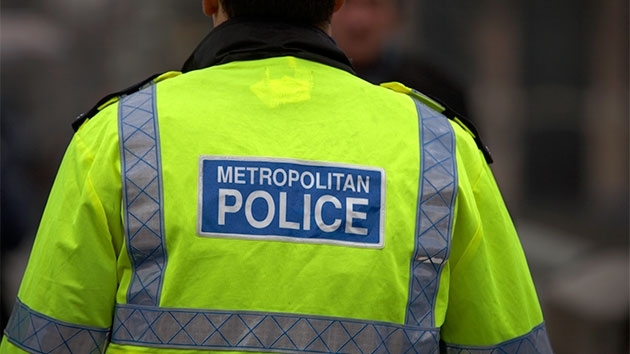 Now, through what the Metropolitan Police is calling “contact tactics,” drivers have been trained to target criminals who ride dangerously, without helmets or in disguise, in a way officers say prevents injury to both offenders and members of the public. In a video released on Friday, the Metropolitan Police demonstrated the tactics in the hopes that “potential offenders will think twice about their actions,” the department said in a statement. “There is a perception that if you remove your helmet or fail to stop for police when requested to do so we will not take any further course of action. This is untrue,” Amanda Pearson, the Met’s frontline policing commander, said in the statement. The theft of mopeds and motorcycles themselves — as well as their use as getaway vehicles for other crimes — are both of concern to police. Between January and October of this year, 8,261 mopeds have been stolen in London, down from 12,192 for the same time period in 2017. Pearson said that while police are pleased with the decrease in motorcycle thefts, they will continue to work tirelessly to bring the number further down. “Our message is clear: we can, we will and we do target those involved in moped and motorcycle crime at every opportunity,” Pearson said in the statement.